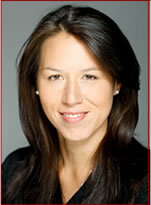 Sarah gained her accreditation and certification as an Acupuncture and TCM practitioner from Middlesex University. The 4 year full-time Bachelor of Science degree programme based in Highgate, London, is a highly reputable and internationally recognised Acupuncture and TCM programme taught in partnership with the Asante Academy of Chinese Medicine and the Ming-Ai Institute, London, and is fully accredited by the British Acupuncture Accreditation Board and affiliated in partnership with the University of Chinese Medicine, Beijing, China, being the only course of its kind to be taught outside of China. Culminating 4 years of teaching from some of the UK's most prestigious tutors and practitioners in TCM, plus her 2 years' Acupuncture and TCM clinical practice at the Asante Academy of Chinese Medicine and both the Whittington and North Middlesex NHS hospitals' pain clinics, Sarah graduated with a First Class Honours degree and was awarded the 'Prize for Excellence in TCM Studies'. Sarah is a full member of the British Acupuncture Council and the Register of Chinese Herbal Medicine. Sarah practices at clinics in Pinner, Middlesex, Chelsea Bridge, London and Marlow, Bucks. To book an appointment please contact our clinic.